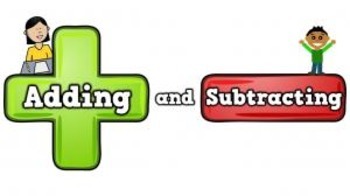 This is the .mp4 video version of the song “ADDING AND SUBTRACTING"
- "Add" means "put together." "Subtract means "take away." - "Plus means "put together." "Minus means "take away." A great math song from Harry Kindergarten Music! If you wish to have your class perform this song for a live audience (graduation, assembly, etc. ), please inquire at pete@harrykindergartenmusic.com, as there is a small performance fee.